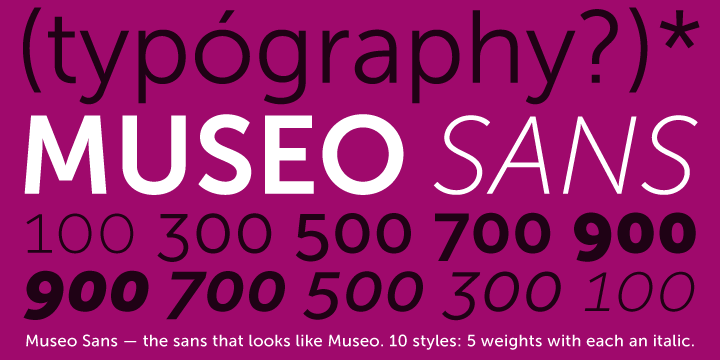 Based on the popular Museo Sans™ and created by Jos Buivenga, Museo Sans is a robust, statistical, low contrast, highly decipherable typeface from the sans serif family. It is ideally suited for textual use. Also referred to as OpenType font family, the typeface ensures huge support for CE languages. You can even expect full support for Esperanto. The font is a fantastic option for ligatures, proportional/tabular lining, automatic fractions, and even the ancient style figures. The best part is that Museo has a ‘case’ feature to support case sensitive forms.